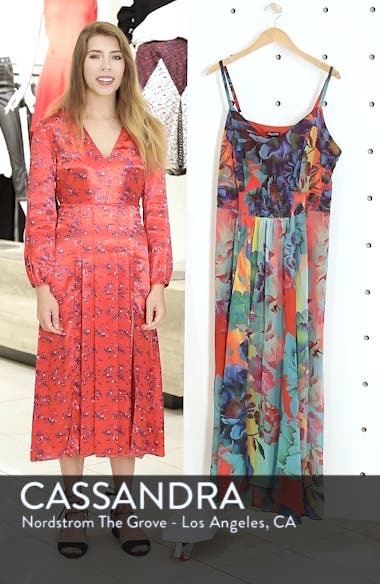 A bold floral print washed in vivacious color makes this airy chiffon maxi a sun-loving standout. Choose a sizeIf between sizes, order one size down. XS=14W, S=16W, M=18W, L=20-22W, XL=22W-24W, XXL=24W-26W.